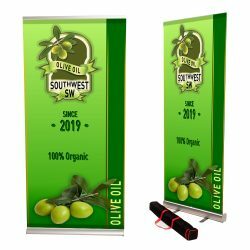 Our roller banners are available with two options – the economical standard or the sleek and more robust premium. 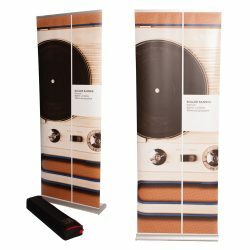 Printed on an environmentally friendly 220mic PVC, they come with graphic pre-fitted to the stand and a carry case as standard. 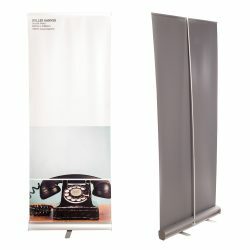 Roller Banners are great for Point of Sale promotions and Pop-up events, capturing attention without breaking the bank. We also offer a double sided banner in 800 x 2000mm format. Sizes available: 800x2000mm, 850x2000mm & 1000x2000mm. Sizes available: 800x2000mm & 1000x2000mm. All Roller Banners are printed Four colour process (CMYK) on a digital on a wide format press. 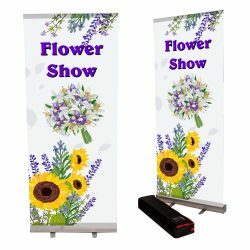 Our brushed aluminium Standard banner stands have swing out feet and are supplied with a pre-fitted graphic and carry case. Our Premium brushed aluminium banner stands do not have swing out feet; so they have a smaller footprint for when space is at a premium. They are also taller than our Standard range and also come with a carry case.